On street parking is available in front of the restaurant on Haddon Avenue & on Atlantic Avenue behind the restaurant. Guests can ride the Patco Speedline easily from Philadelphia or any New Jersey Patco stop. For ride schedule information go to the Patco website. Nunzio's guests enjoy strolling & shopping in our "Classic Town" Collingswood where year round fairs, restaurant weeks and musical events are sponsored by the Borough of Collingswood. Go to Collingswood.com for new events & entertainment. Go to www.nunzios.net to read about Nunzio's dining special events and promotions. Enjoy attending events featuring Regional Italian Cuisine, Restaurant Weeks, Cooking Classes and more. Nunzio can also come to you! On and off premises catering include buffet, formal, business & family style menus & service. Services include dining room & kitchen wait staff as well as a wine steward. Call us at 856-858-9840 for more information. Host your next business or family affair at Nunzio’s. 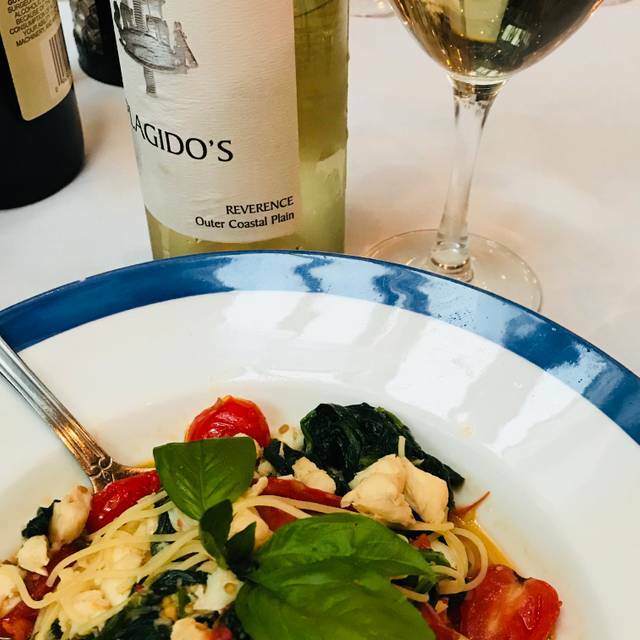 Enjoy a rustic Italian atmosphere and delicious menus for Birthdays, Rehearsal Dinners, Showers, Bar & Bat Mitzvahs, Christenings, and Communions. View private dining menus on our website or call for more information. 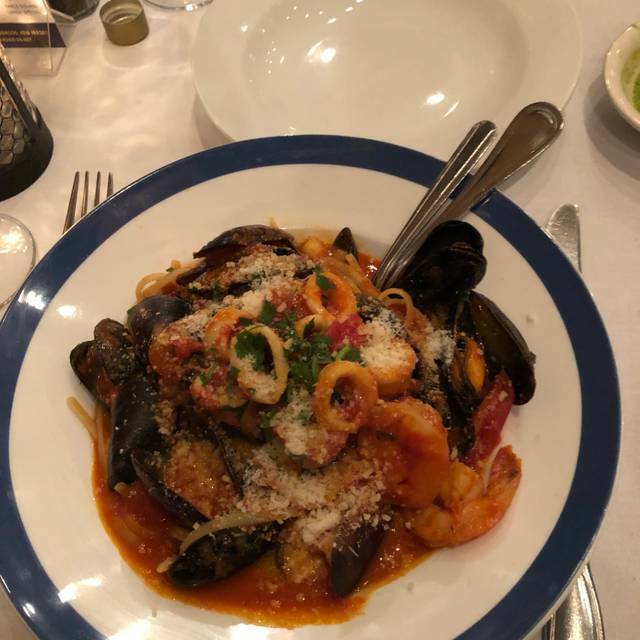 Voted as one of the best Italian BYOB in the region, Nunzio continues to distinguish itself with menus featuring authentic Italian cuisine featuring seasonal dishes, local flavors and choice cut meats, homemade pastas & fresh fish & seafood. Visit us at nunzios.net for special events, Chef's Table , Private Party and more. Always a great meal and dining experience. For appetizers we had the golden beet, goat cheese & arugula salad and the grilled octopus. Excellent! For main course had Bronzino and Veal Parm. We loved both entrees. Service is always great! We go here often. Never disappointed until tonight. I ordered stuffed veal chop. Fatty & tough. I sent it back & had a delicious bronzini fish. My wife had rack of lamb.It was just ok. Waiter was excellent.Appetizer was excellent. Excellent, this was our first visit here. We will be returning. Outstanding service...we go there maybe three times a year and yet they remember us, including my wife's favorite meal! Chris, thank you for the 5 star review. We are always happy to serve you every time you dine with us, it's our pleasure. We look forward to the next time! Great food in a cute town. Will go again when we have another concert in Collingswood. Excellent....waiter very attentive! The food was amazing and didn't feel rush to leave! 5th time in 2019 and it’s been outstanding all around each time!!! 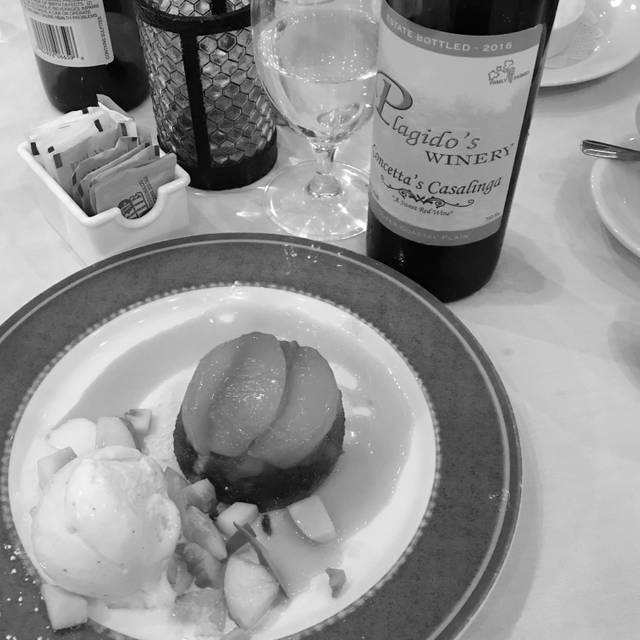 Lovely dining experience at Nunzio's. Always great service and delicious food. Pleasant wait staff. Clean environment. Simple dishes with comforting flavors. Decadent and fresh dessert offerings. Fair pricing. Our dinner with friends was very enjoyable. 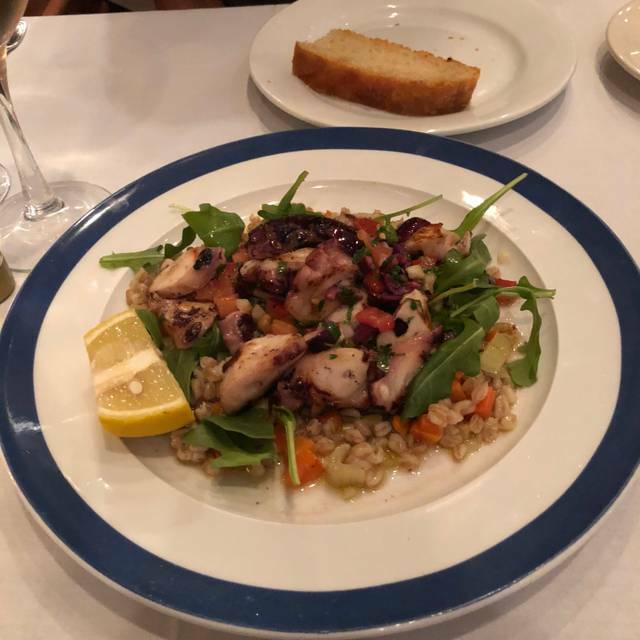 I particularly loved the stuffed veal chop, and the two party members who chose the branzino with shrimp and lump crabmeat were also very pleased. 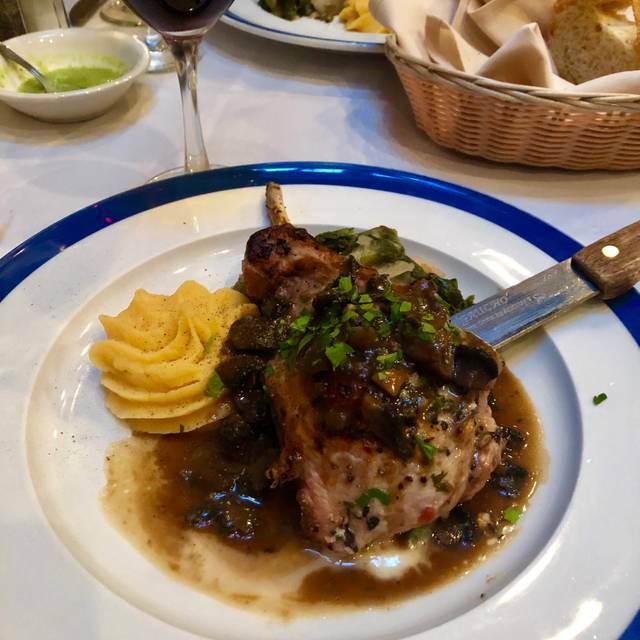 Dinner at Nunzio’s is always a pleasant experience. Everything is authentic and delicious, and their specials are just that, special. It can get very loud but that’s because everyone is having such a great time. Service is great, the waiters are very friendly and helpful. Nunzio’s is just a great place. Great Italian food! Lovely ambiance and service!! Service was terrific and the food was outstanding, can't wait to come back. Cherie, thank you for the review. 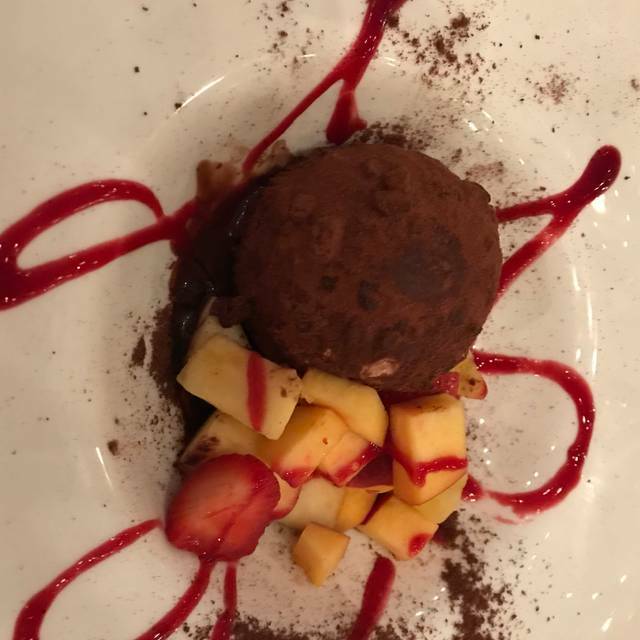 We are so happy to see you had a terrific experience at Nunzio Ristorante Rustico. We can't wait for you to be back as well! The wait staff was very attentive. The food came out hot and was delicious. Nunzios has it all. A Warm hospitality, fresh ingredients, delicious dishes, and excellent service. It’s a wonderful atmosphere to dine as a couple or with friends. Deb, thank you for the great feedback. We are thrilled you enjoyed everything about your experience at Nunzio Ristorante Rustico. It was our pleasure and we look forward to serving you again soon! Fantastic dinner! Our waiter was out of sight. On point! Loved the atmosphere. Always fabulous! Will certainly return. Thank you, Elaine for the wonderful review. We are very happy to see you always have a fabulous time with us. We look forward to serving you again! Great Experience, Great Service and Food was Excellent. Highly recommend. Great Italian food. The restaurant is on the smaller side but for a date night it was perfect! Food was delicious. We had to downsize from a party of 4 to a party of 2 at the last minute. It felt like we were crunched into a small area, between a very large table. They were constantly bumping my chair, there really wasn’t room for us. The waiters were very attentive but we felt a bit rushed. We will definitely go back, but hopefully the atmosphere will not feel so crowded. My husband and I celebrated our wedding anniversary this past weekend at Nunzios and LOVED it. From our appetizers to our desserts, everything was amazing!!! Selena was our server and knew the menu and specials inside and out!! Great dining experience!! Kimberly, thank you for the wonderful review. 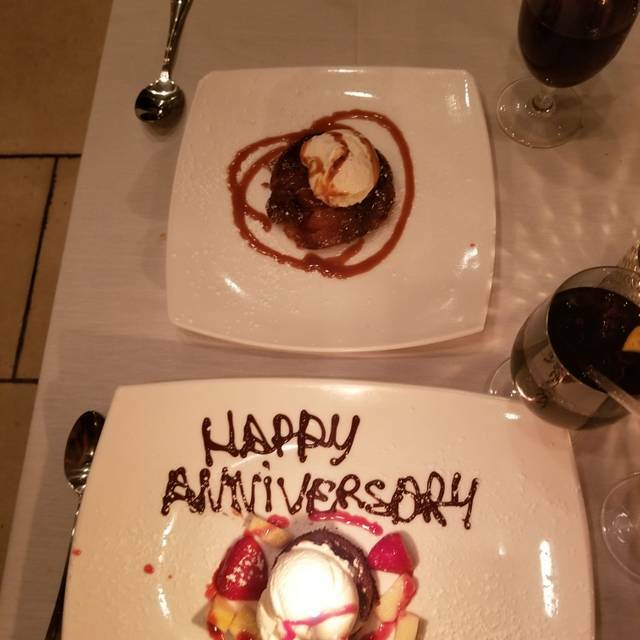 We are so happy to see you celebrated your wedding anniversary with us and that it went so well! It was our pleasure, hope to serve you again soon! Felt very rushed, they were trying to clear plates off the table even before you were finished. they want you to eat, pay and move on. There's always a busboy watching over your shoulder to take your plates away whether you're finished or not. Food and service are impeccable. The noise level is the only drawback. We will keep coming back! Branzino special was delicious as was the veal piccata. The food was fantastic in every detail. The desserts are home made, not brought in and just as great! Always a pleasure, always outstanding food & service. Just decided to take my wife to the best restaurant in town !!! The food was perfect to help her was terrific of the ambience was terrific the waiter was very good the parking was good the food was exceptional the dessert was even better everything was very very very very good. Thank you for the great review. 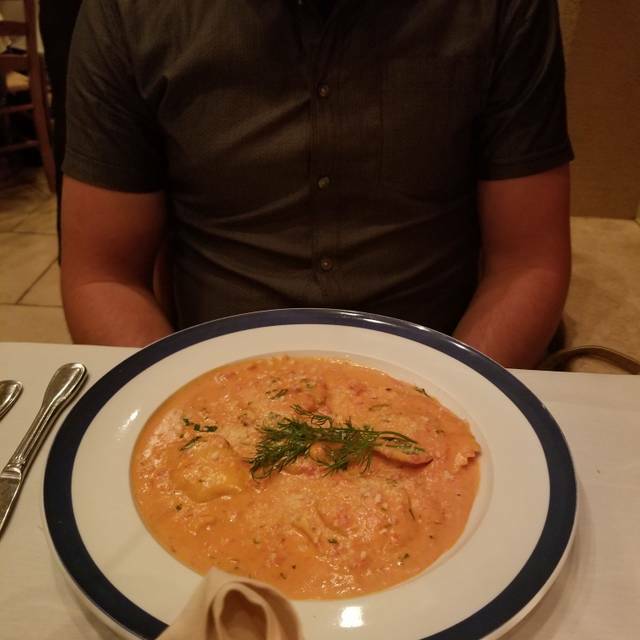 We are so glad to see you had a terrific meal with us. It was our pleasure, come back soon! Nunzio's is one of my "go to places" for business dinners with vendors or for a nice weekend meal with the family. I have honestly never had a bad experience at this place. 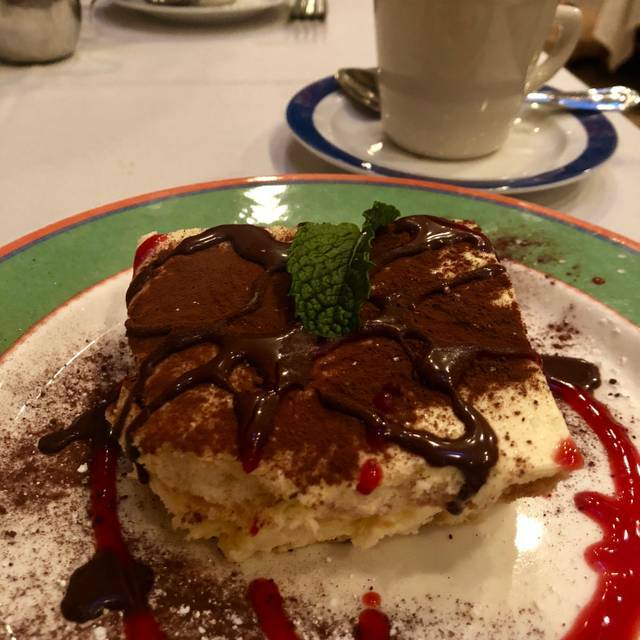 Staff is friendly and the food is top notch, authentic, Italian! NUNZIO is always good but I hate it when the waiter recites the specials without the price. Why is that? Going forward I will insist on it. We got a chunk of meat for 30 plus dollars that we would likely have passed on. Finding out at the end is poor manners on your part. Good food and service. Disappointed that they were out of the Tartufo Afogatto especially since we had early (3:30pm) reservations. We booked a reservation for Saturday night--it was packed--so reservations are basically a must. For starters, we had fried calamari--good, not great. Entrees-- rack of lamb and branzino. Rack of lamb is 6 ribs--good, not great. Branzino is half of the fish fileted with 3 shrimp and crab meat on top--it was good. Desserts were great--chocolate lava cake and apple turnover. Place is noisy. BYOB--is a plus. Prices were too high for the amount of food--this is the only reason I wouldn't recommend when you have so many other Italian restaurant choices in the area. Numzio’s continues to be our favorite Italian restaurant in the area. Can always rely on excellent service and food at a reasonable price. Have been going here now for several years. Thank you for the great review, we really appreciate it. We are very happy to see we are your favorite Italian restaurant in the area, that means a lot to us. It's always our pleasure and we look forward to seeing you the next time.